Michael J. Dixon is a Member of N.S.L.G.A. and the Cornell Cooperative Extension. He has an Associates Degree in Horticulture from SUNY Farmingdale. He has been in business since 1991 and continues to attend numerous trade shows and seminars throughout the year. 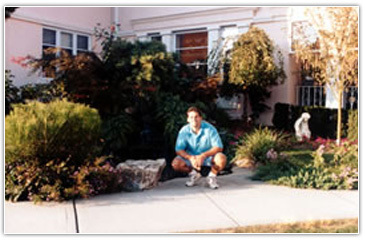 As the owner, Michael still supervises all landscape projects and is a licensed pesticide applicator. All crews are fully supervised with an english speaking foreman. All crew members are neat and courteous with full radio dispatched trucks. We take pride in our work. We are fully licensed and insured and all of our equipment is new and constantly updated. The trucks are always clean with our logo and phone number fully visible at all times. Please thank your lawn maintenance crew for the beautiful and thorough job they did at my home. 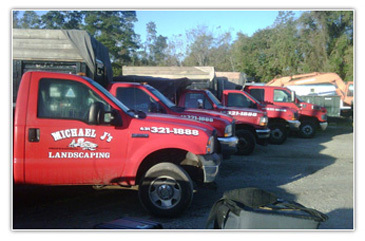 Michael J. Landscaping was a pleasure to work with. The staff was knowledgeable and friendly, and I would recommend them to anyone! I just wanted to let you know that your crew are really nice guys! I appreciate the respect that they have always shown us. My daughters have been coming and going for years while they are working and never once have they felt uncomfortable. Thank you for employing them. They do a great job. Whenever I am home and they are here, I try to leave them lemonade or water on the front stoop to let them know I appreciate them. They are always polite and always thank me. Use the form below to get started and to receive a risk-free estimate. © 2017 Michael J's Landscaping 31 Sylvia Dr. West Islip, NY 11795 | (631) 321-1888 | All Rights Reserved.